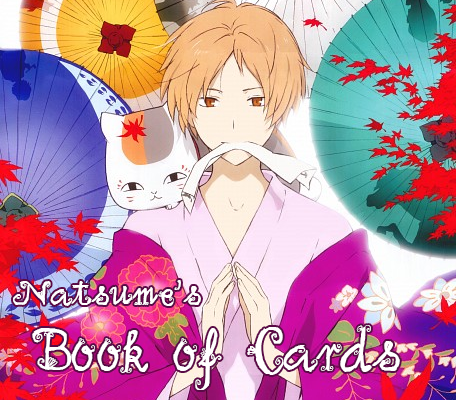 Natsume's no ordinary boy. Like his grandmother Reiko he has the ability to see youkai... who flock to him and demand to have their names that Reiko stored in the Book of Friends returned. At Colors, Natsume is visited by some of our past deck releases who would like to have their cards returned! Every week, one of the releases is picked at random. You can exchange up to five cards from that release for choice cards from that release. You will lose the cards you turn in. For example, if the chosen release is Release 001, you can turn in an Asobot card and get a choice Logic, Dragon or Optimist card in exchange. Specials can only be gained by turning in other specials! To get multiple cards from one deck, you need to turn in multiples from another deck as well. You can't get two Logic cards but turning in an Asobot card and a Smile card, but two Asobot cards would work. This round closes on Thursday, June 14th! This round closes on Thursday, June 14th! CLOSED NOW! This week is a special round, so you can turn in ten cards! There are two releases and you can take five from one and five from another but you can also take all ten from one or 3 from one and 7 from the other. Two releases this time since I didn't post last week! This round closes on Thursday, May 31st CLOSED NOW! This round closes on Thursday, May 24th! CLOSED NOW! This round closes on Thursday, May 3rd CLOSED NOW! This round closes on Thursday, April 26th! This round closes on Friday, March 20th! This round closes on Friday, March 13th! CLOSED NOW! This round closes on Thursday, March 30th CLOSED NOW! This round closes on Friday, March 23th! This round closes on Thursday, March 15th CLOSED NOW! This week's release is Release 068! This round closes on Thursday, March 8th! CLOSED NOW! This week's release is Release 008! This round closes on Thursday, March 1st CLOSED NOW! This week's release is Release 053! This round closes on Thursday, February 15th CLOSED NOW! This week's release is Release 035! This round closes on Thursday, February 8th CLOSED NOW! This week's release is Release 087! This round closes on Thursday, January 11th! This week's release is Release 073! This round closes on Thursday, December 28th CLOSED NOW! This week's release is Release 064! This round closes on Thursday, December 14th! CLOSED NOW!